Here at Turnips 2 Tangerines we like to pass on to our readers Food Finds. A “food find” is any product that we “find” that we would use, have used and we like it so much that we pass it along to our readers which is you. Today our Food Find comes to you via Aldi. 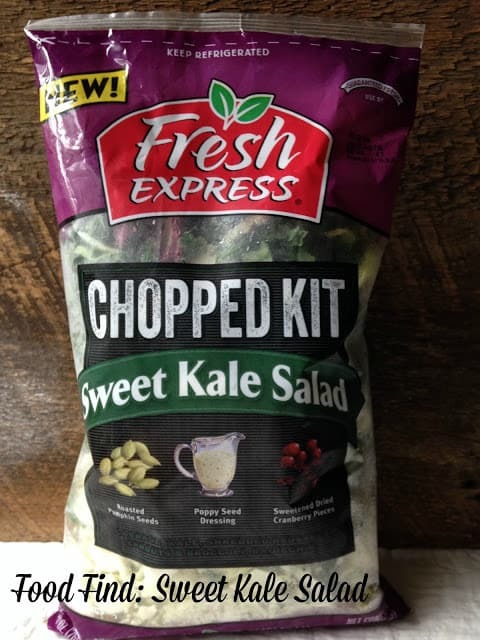 Aldi has three chopped salad kits; Sweet Kale Salad Kit, Asian Chopped Salad Kit and Southwest Chopped Salad Kit. All of these salad kits are fantastic. My new favorite lunch time meal is this Sweet Kale Chopped Salad Kit by Fresh Express. We haven’t shared a Food Find in awhile so when we came across this delicious salad kit from Aldi, we knew it would be our featured Food Find. Sweet Kale Salad Kit has everything you need to make a great tasting salad. This salad kit includes: roasted pumpkin seeds, poppy seed dressing and sweetened dried cranberries. 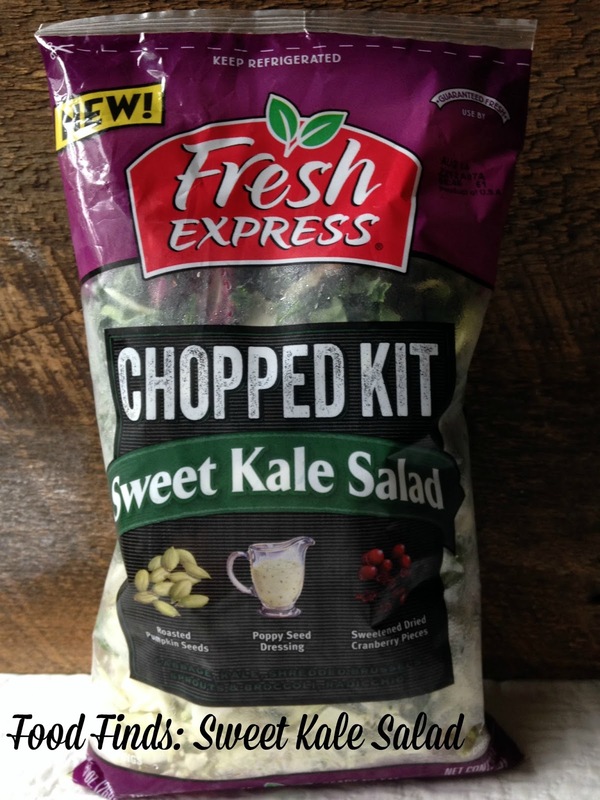 Sweet Kale Salad Kit is delicious! Kale is not only delicious, it’s good for you too. Health Benefits of Kale “Like” Well-Being Secrets on Facebook Stop by Well Being Secrets for fantastic articles and tips to help you eat better and feel better. Oh sounds yummy. Thanks for the tip! I love the emails prompting me to come by! I'd love to invite you to my Fabulous Fall linky party. It begins the first. You can link any fall theme post recipes included! Come over and join the fun. It's all week so you can link any day! I have tons of fall inspired recipes.